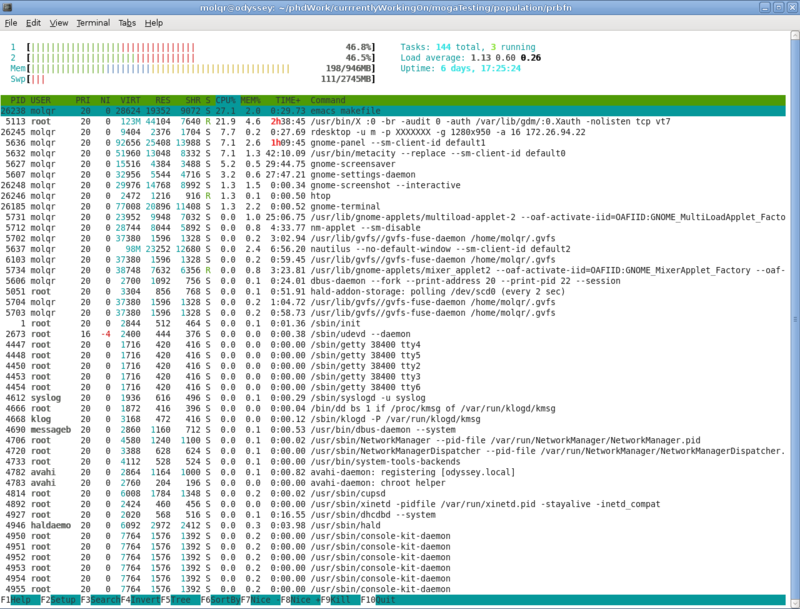 i m on ubuntu 8.04 ( hardy heron ) and every once in a while emacs freezes … i use htop to find out that emacs and X are hogging up cpu cycles … when i kill emacs it all returns to normal. some times i see the same thing happening when i have firefox open but this is quite rare … this leads me to believe that probably emacs alone may not be the culprit. but how can i find out exactly what is causing the problem ?